A highly-prized wildflower, native to the Rocky Mountains and Colorado’s State Flower. 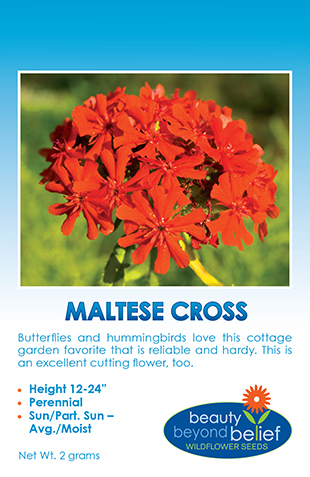 These beautiful, graceful perennials are easy to grow in partial sun with daily watering and a favorite of hummingbirds and hawk moths. The flowers are light to dark blue with white centers of spurred petals containing fragrant nectar and bluish-green leaves. Columbine seed will germinate more quickly if chilled in the refrigerator for one week prior to planting. Keep these plants away from other types of columbines since they will hybridize and the resulting seed will grow with mixed colors. A highly-prized wildflower, native to the Rocky Mountains and Colorado’s State Flower. 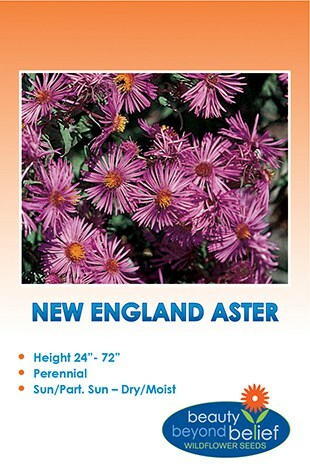 These beautiful, graceful perennials are easy to grow in partial sun with daily watering and a favorite of hummingbirds and hawk moths. 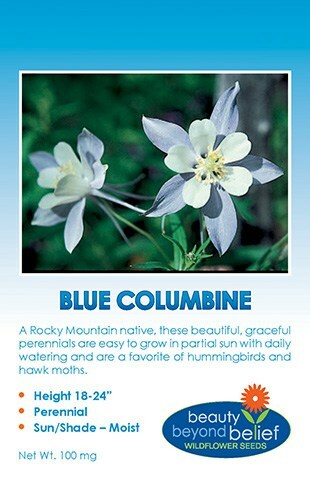 The flowers of blue columbine are light to dark blue with white centers of spurred petals containing fragrant nectar and bluish-green leaves. 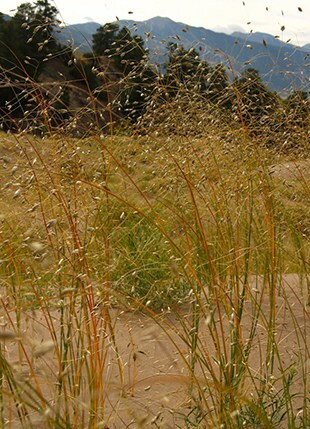 The long, carrot-like taproot makes them very drought tolerant. 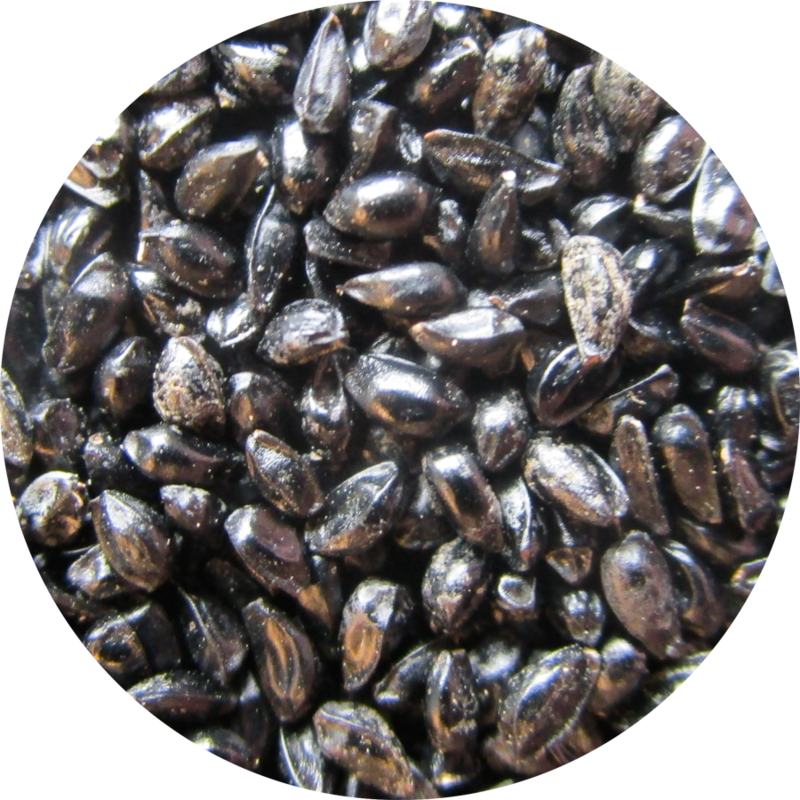 Blue Columbine seed will germinate more quickly if chilled in the refrigerator in a plastic bag with some moist peat moss or paper towel for one week prior to planting. Keep these plants away from other types of columbines since they will hybridize and the resulting seed will grow with mixed colors. Columbines and hummingbirds are symbiotic – the hummingbird’s slender bill and long tongue enables the bird to reach the flower’s nectar from the base of the spur; in exchange, they act as the Columbine’s top pollinator.